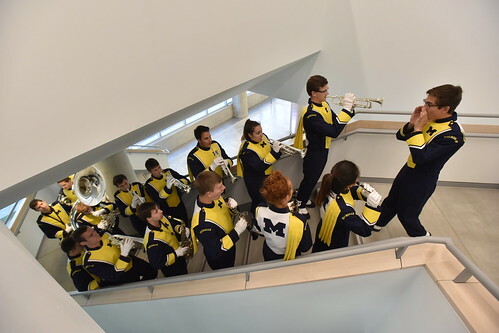 The new A. Alfred Taubman Wing of University of Michigan Taubman College of Architecture and Urban Planning will open Friday, Sept. 8, 2017, after breaking ground in 2015. The building will be commemorated Sept. 8 at an 11 a.m. ceremony in the A. Alfred Taubman WIng Commons, hosted by Massey. U-M President Mark Schlissel and the family of the late Alfred Taubman, including sons Robert Taubman and William Taubman and daughter Gayle Taubman Kalisman, will be in attendance. That evening at 6 p.m., Massey will kick off the college lecture series with his talk, "Building Tomorrow," followed by a college-wide celebration. All events are free and open to the public.